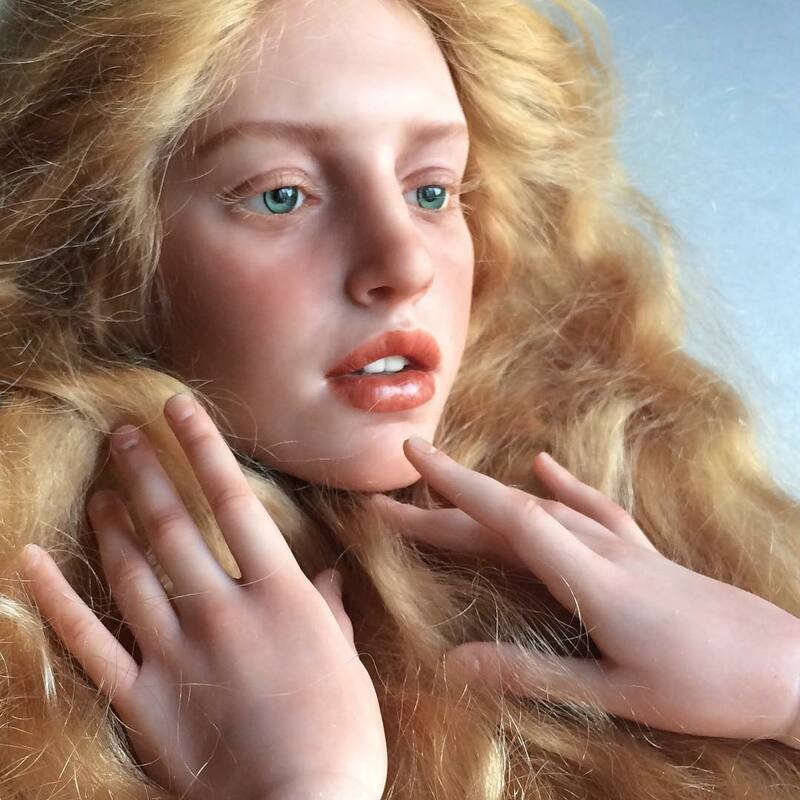 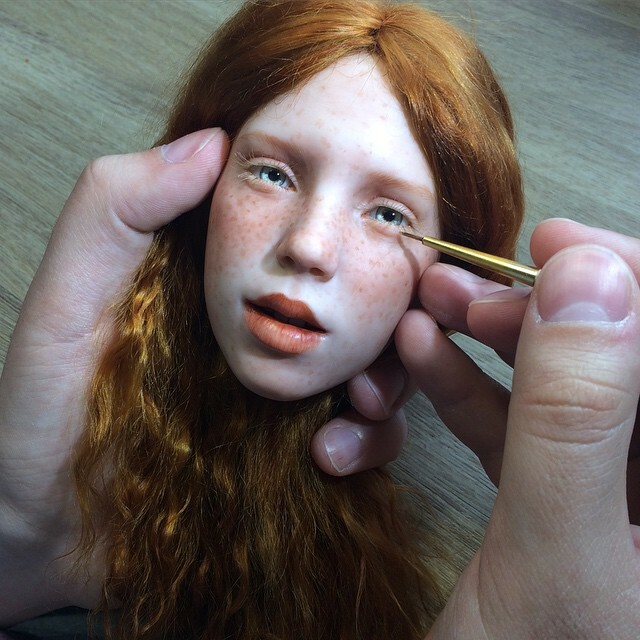 Sometimes, a craftsman is too good, like when he makes dolls so realistic it’s creepy. 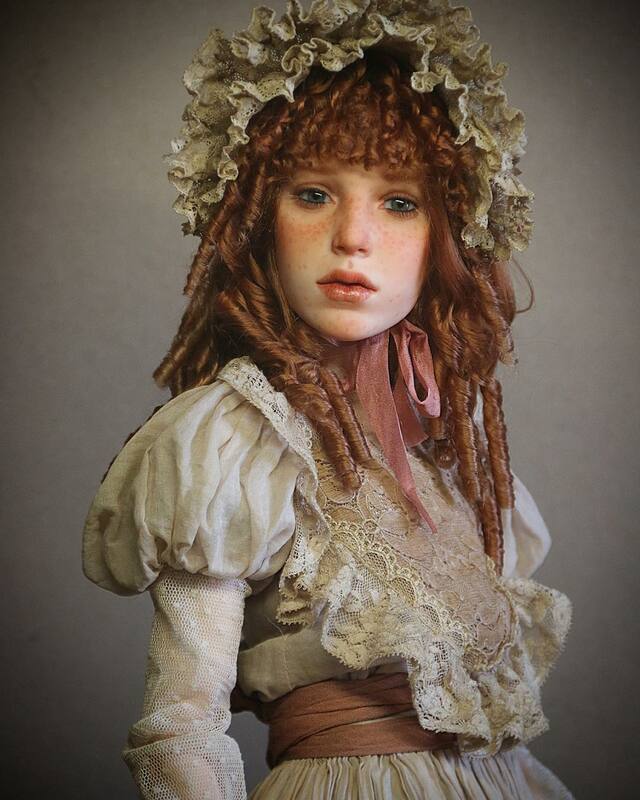 Michael Zajkov is one such man. 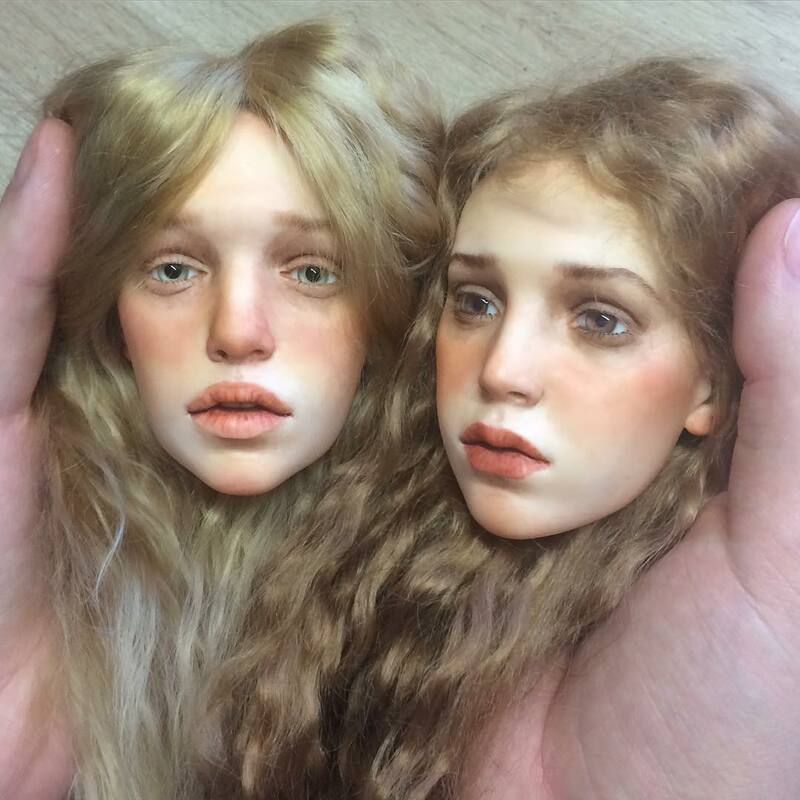 The faces of his art dolls are so realistic, it’s disturbing to see him hold their heads in his hands. 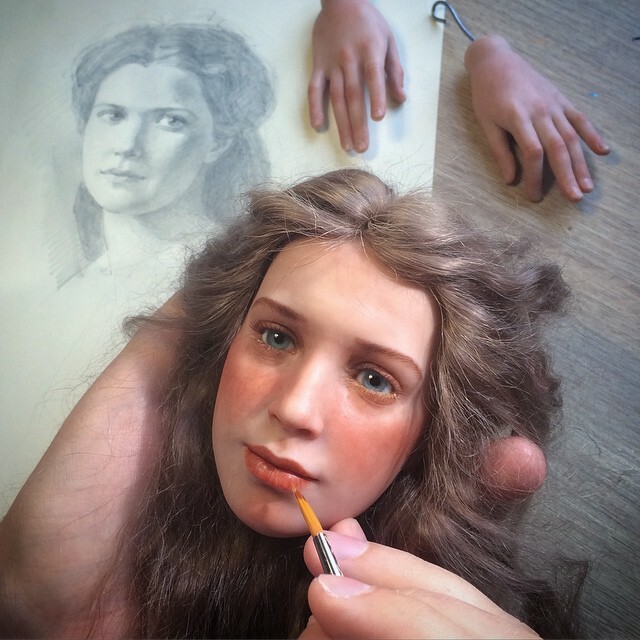 When you watch his work in motion, there’s only so much you can do not to mutter “please don’t blink, please don’t blink, please don’t blink…” Zajkov graduated from Kuban State University of Russia in 2009. 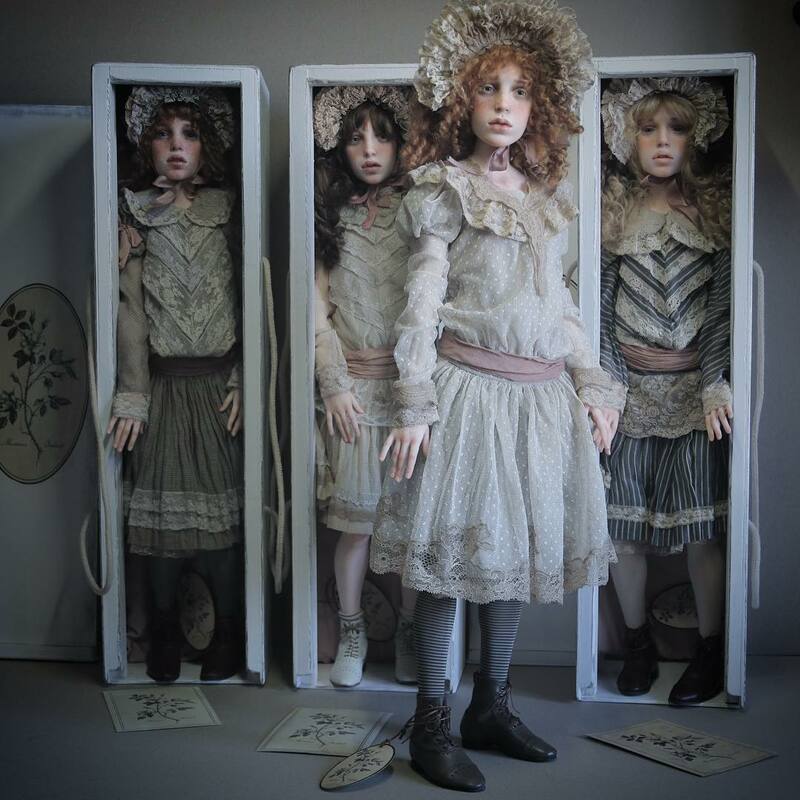 From 2010 to 2013 he worked at a puppet theater while also attending a graduate school. 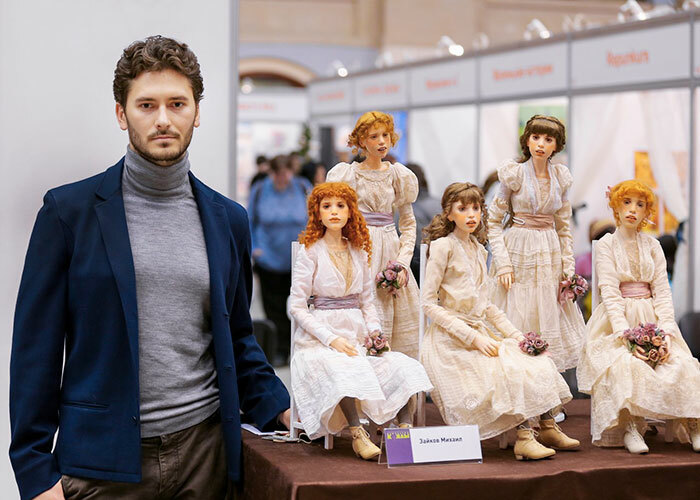 He was propelled to fame after the 2013 “Art Dolls” expo in Moscow. 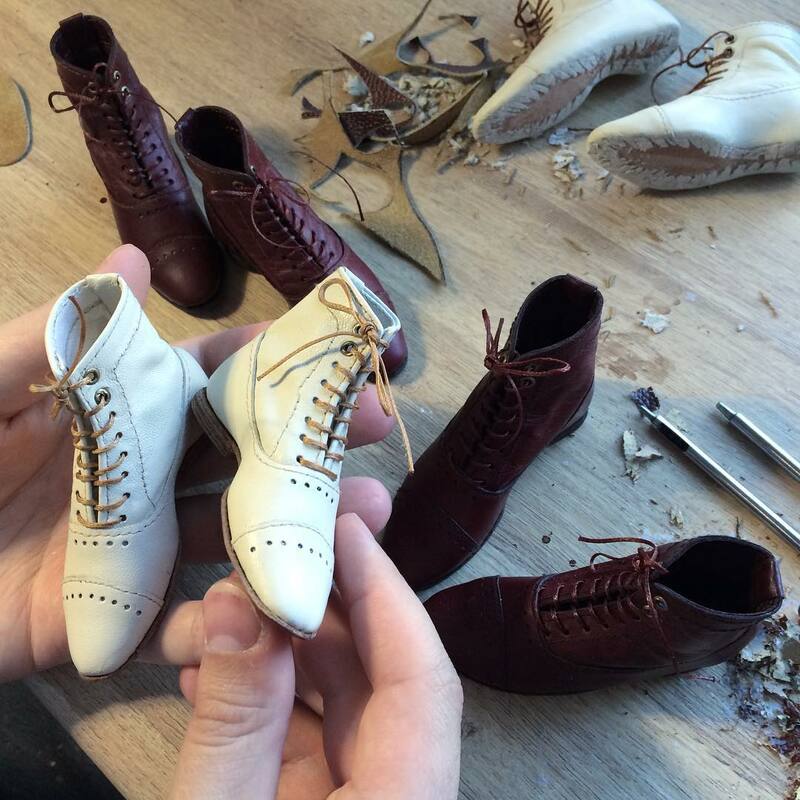 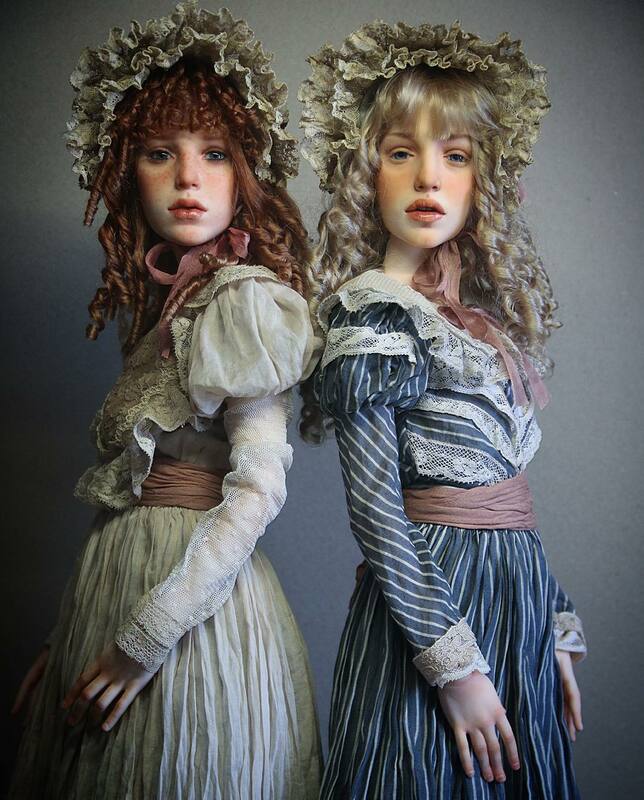 Zajkov’s creations have multiple joints. 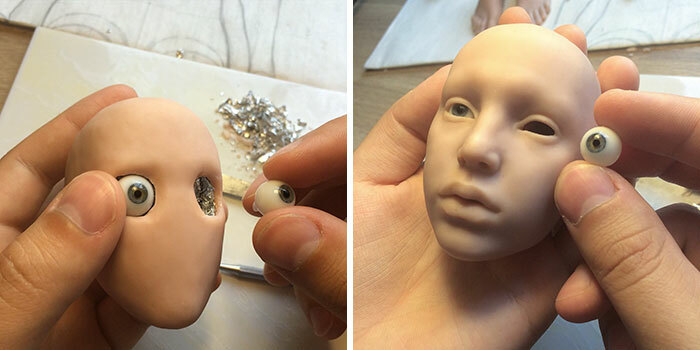 He uses polymer clay for the dolls, hand painted glass eyes from Germany, and French mohair for hair. 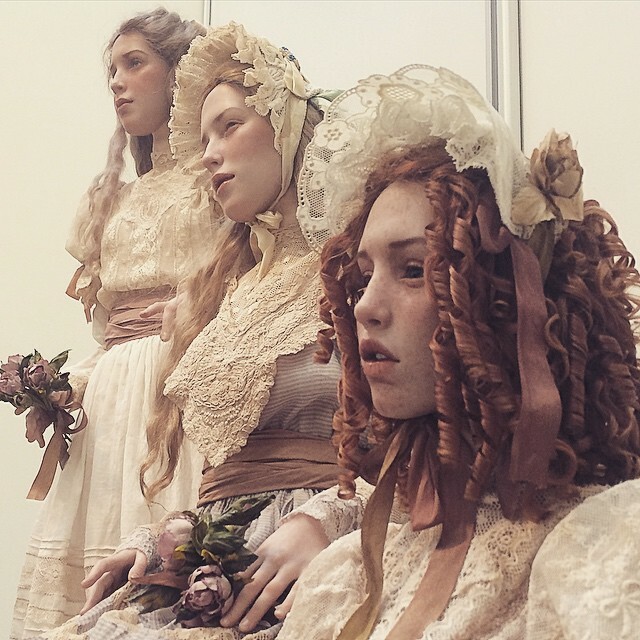 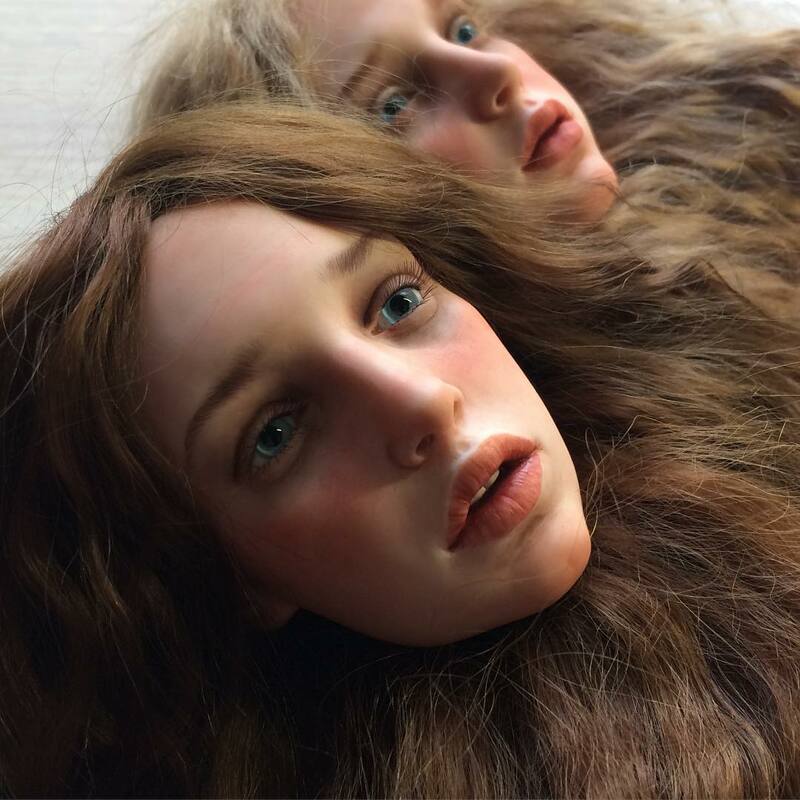 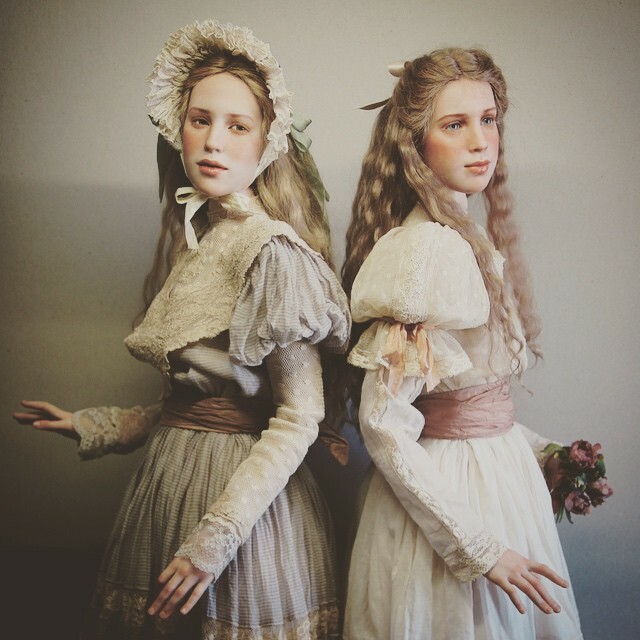 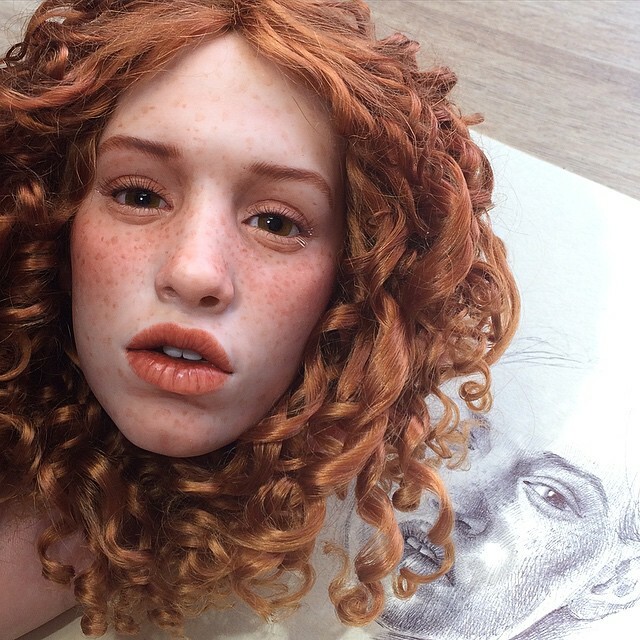 Also we recommend you to check another Russian artist who makes realistic dolls – Beautiful Realistic Dolls by Alexandra Kokinova.